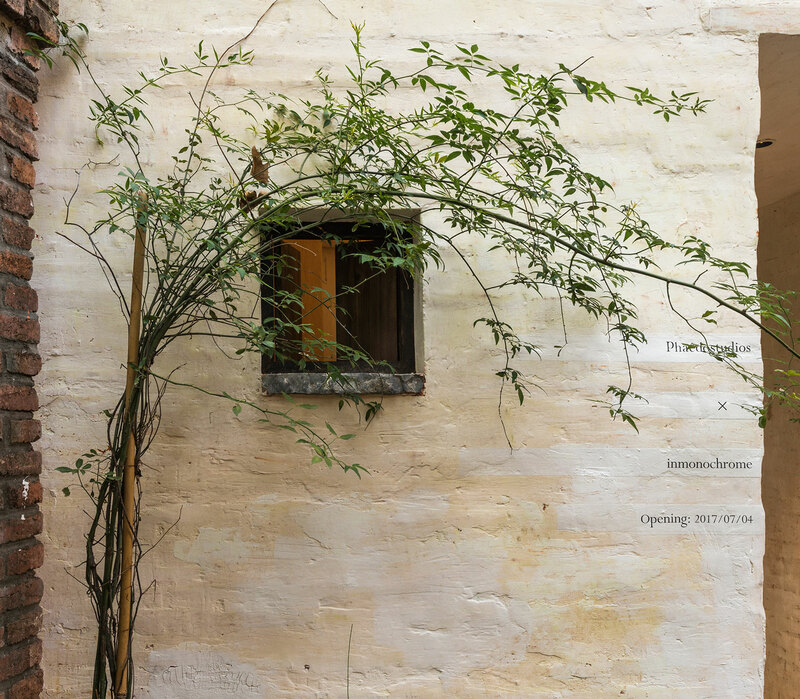 Inspired by the Chinese philosophy “one world in one flower” The philosophy of YIYU is to create an universe through any corner designed, to provide a peaceful and inspirational space in life. 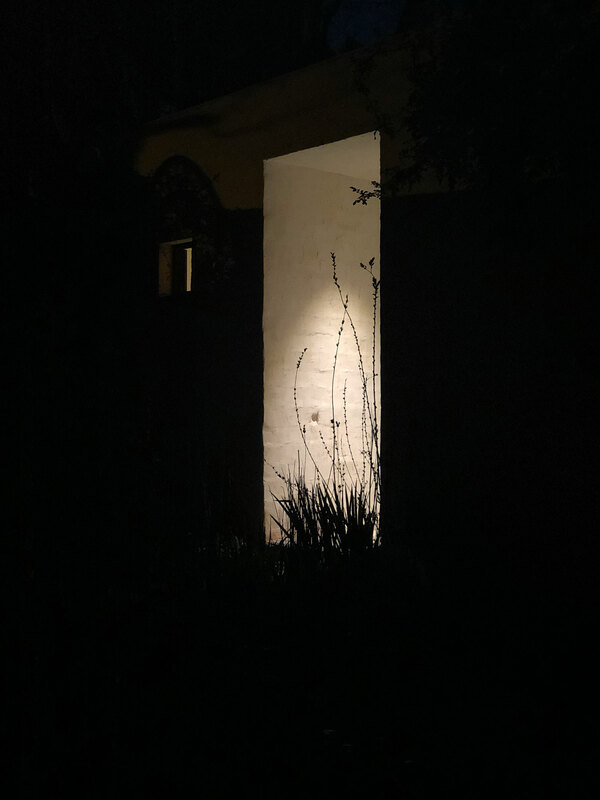 Through every corner to a better place. 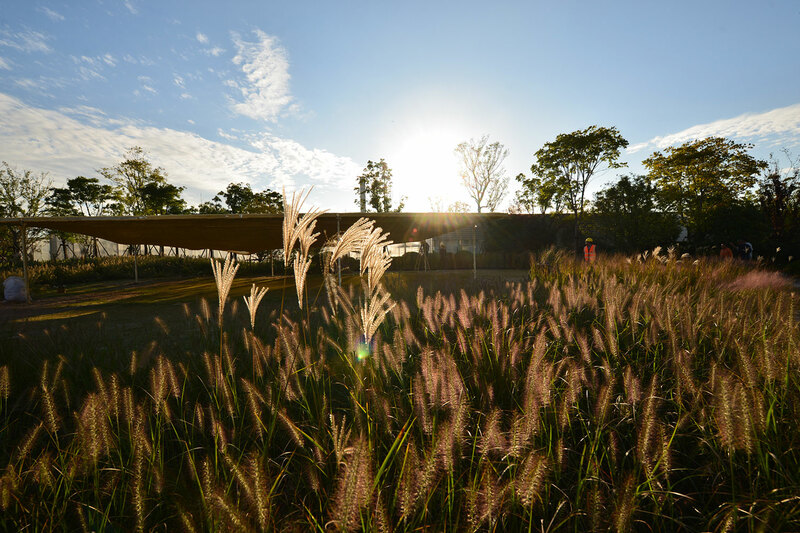 Each place with happier memories. 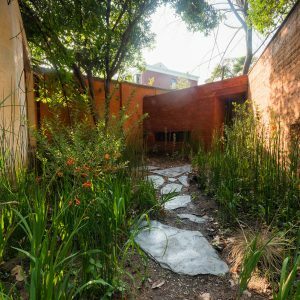 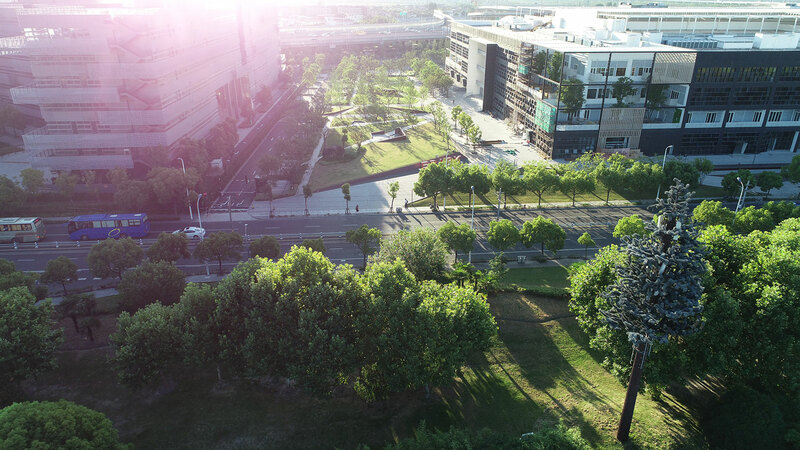 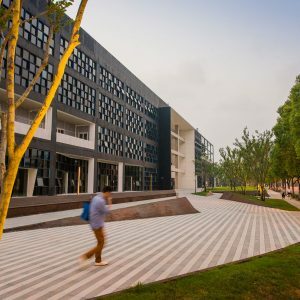 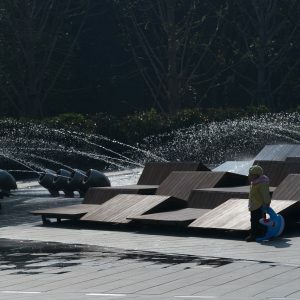 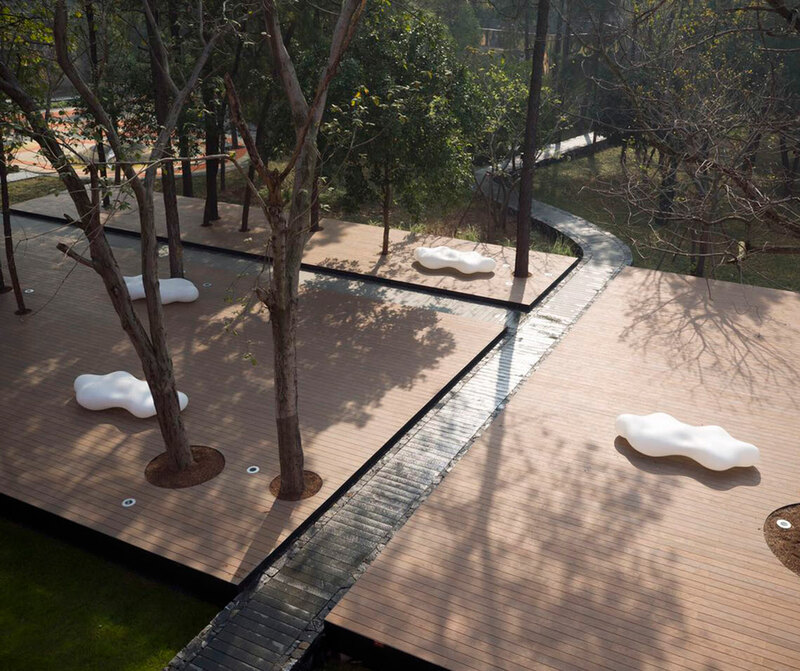 Founded in Shanghai, YIYU Design is a studio that seeks to create inspirational landscape architecture and planning. 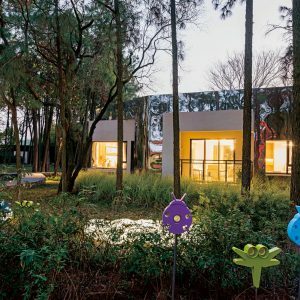 YIYU was started by a Harvard Graduate who, after years of experience at world-renown firms, decided to fulfill his design aspiration by opening his own practice. 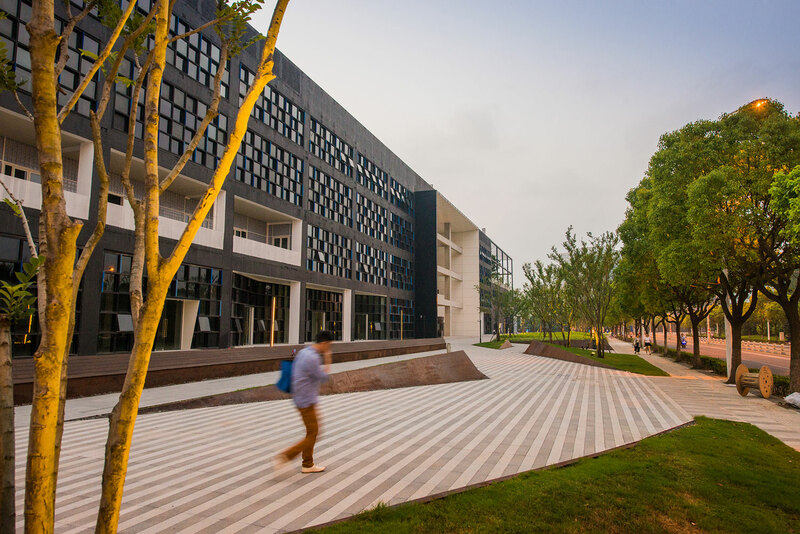 Whether it is working with architecture, city planning or pure landscape, YIYU intends to deliver finely-crafted, elegant, innovative and tasteful design according to client needs and help them discover a better living environment around them. 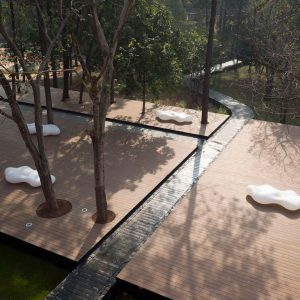 YIYU provide complete professional design services. 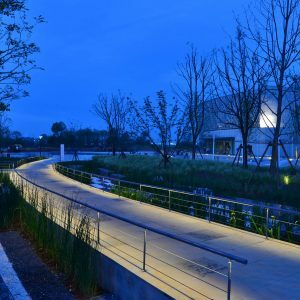 We have worked with several outstanding design firms such as Deshaus, Urbanus, Natural Build, and Atelier Liu Yuyang, etc. 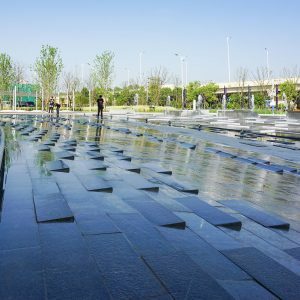 Our work cover program types such as waterfront, parks, museums, residential and commercial landscape, hotel and private homes, as well as art installations. 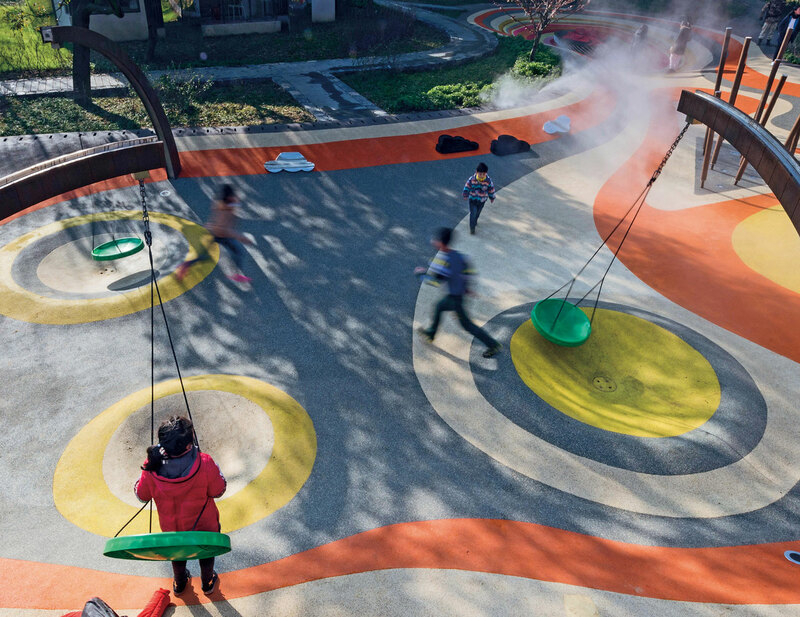 YIYU believe that well-crafted spaces are the result of collaboration amongst different players; therefore, the practice extends to product and furniture design. 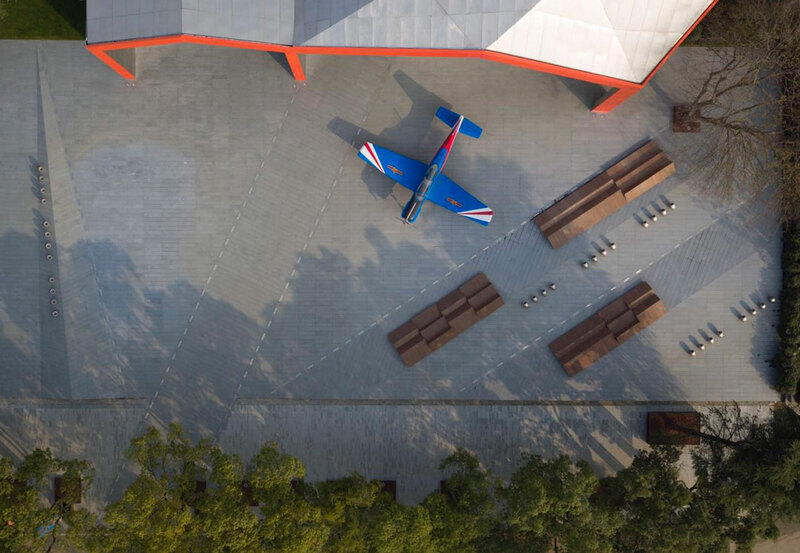 Home to China’s aviation manufacturing industry, Hongdu once held the important mission of creating countless aircrafts to fulfill men’s dream to fly. 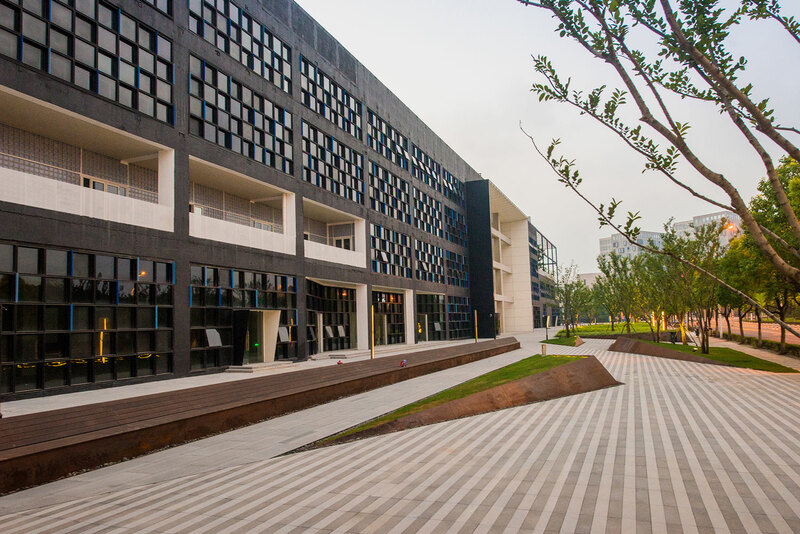 As the first part of the old town to be redeveloped, this project transforms an old aircraft factory into a creative center for the community. 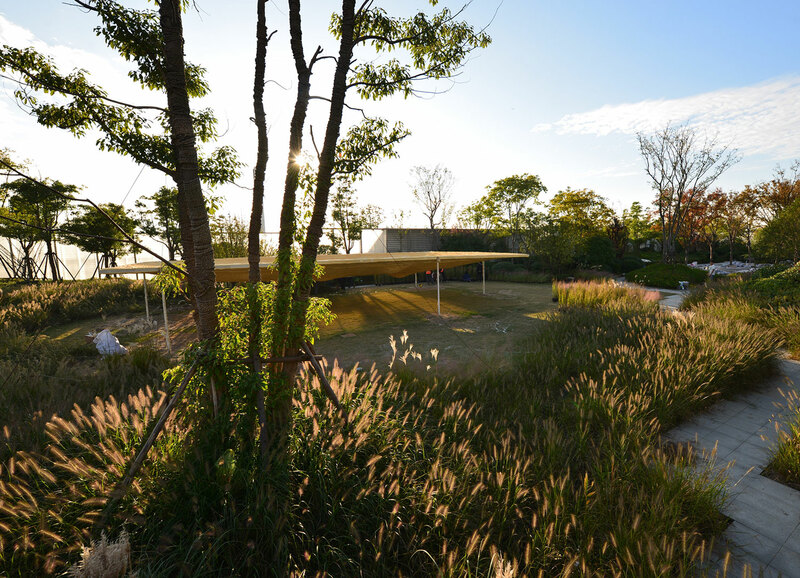 In doing so, it aims to preserve a piece of architectural history and revive from memory its rich past. 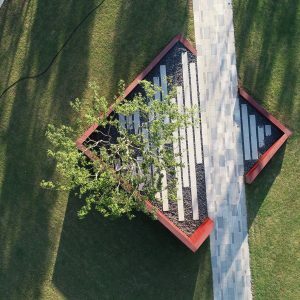 Everything started with a simple concept ” to keep a tree of the site “. 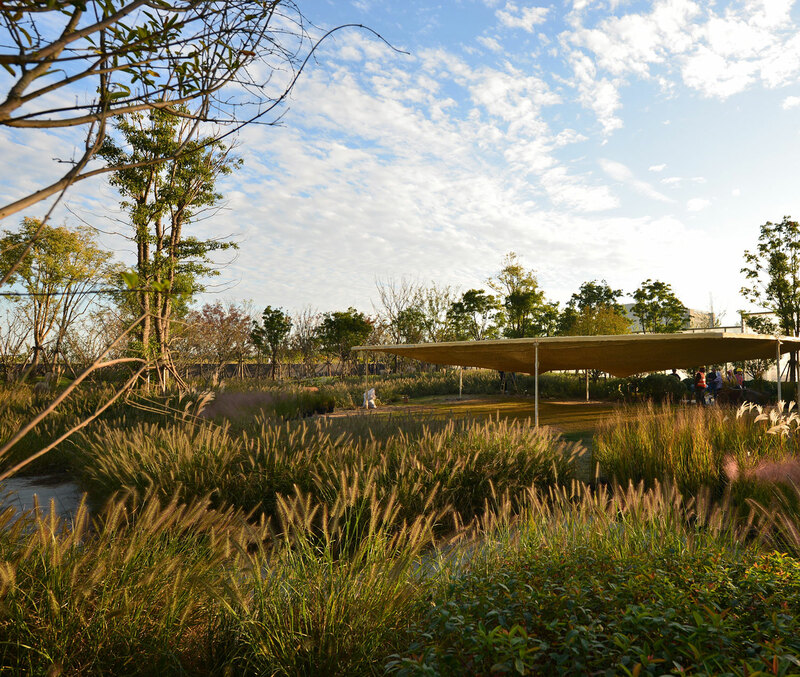 The project well preserved every tree of the site and carefully placed a platform floating under the cover to create a community social space, and a stage to watch the changing colour of the leaves, and the transition of the blue in the sky. 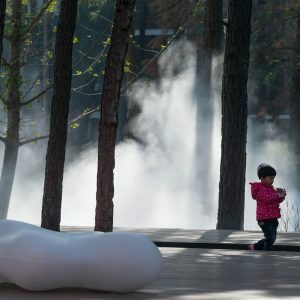 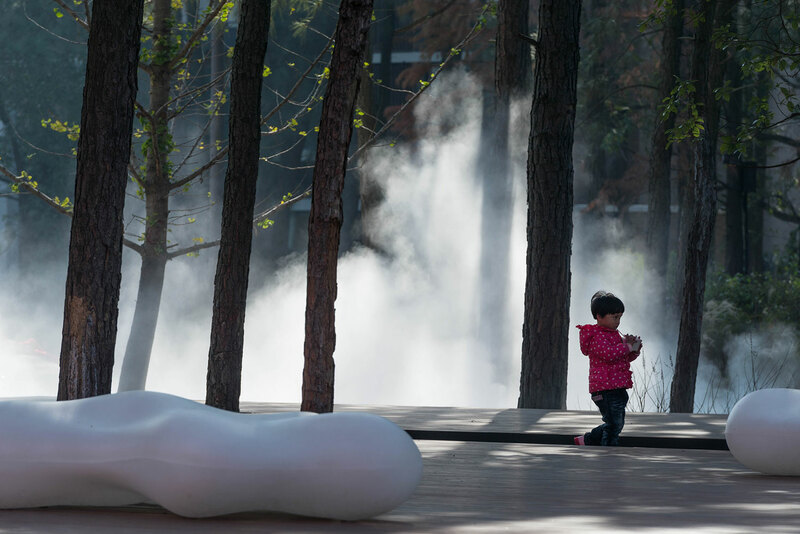 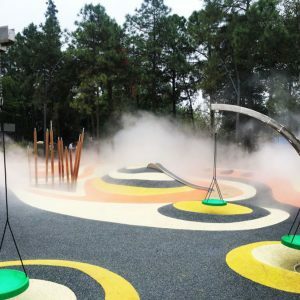 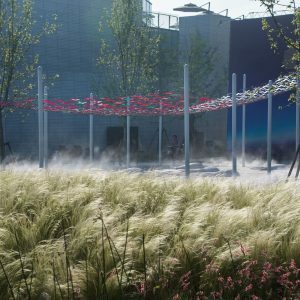 Valley of cloud is an experimental playground to integrate with a free surface of soft ground with mist to create temporal settings of imaginary valley filled with moving cloud. 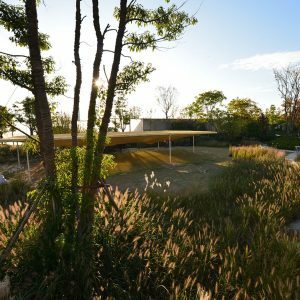 The project aimed to reuse the empty lot along a preserved forest to create a close but harmonic relationship between human and nature, and a place to remember the beauty of green in every kids memories. 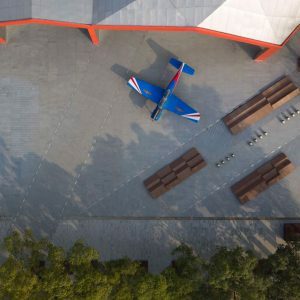 The history of the site was the manufacture center of the aircraft in china. 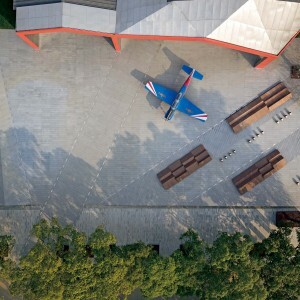 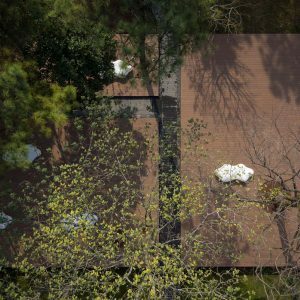 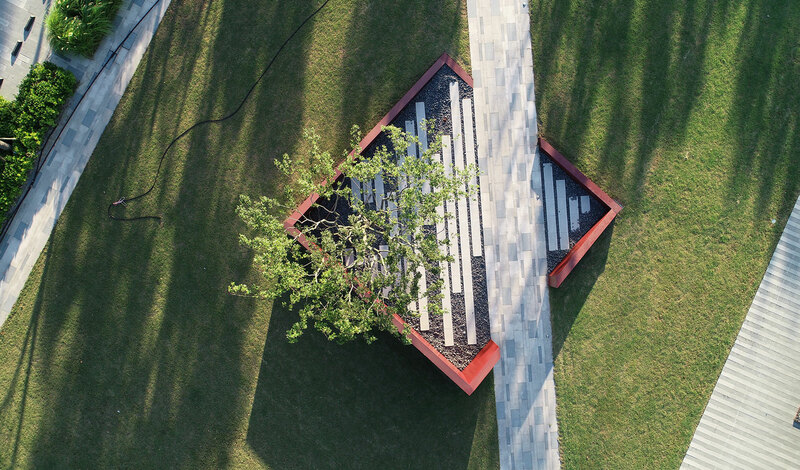 To reflect the historical value and memories of the site, the project used the surface as a spatial media to minic a folding paper airplane. 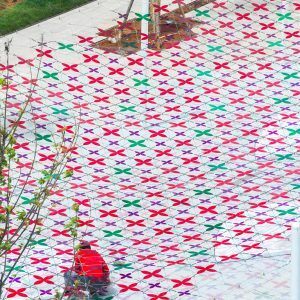 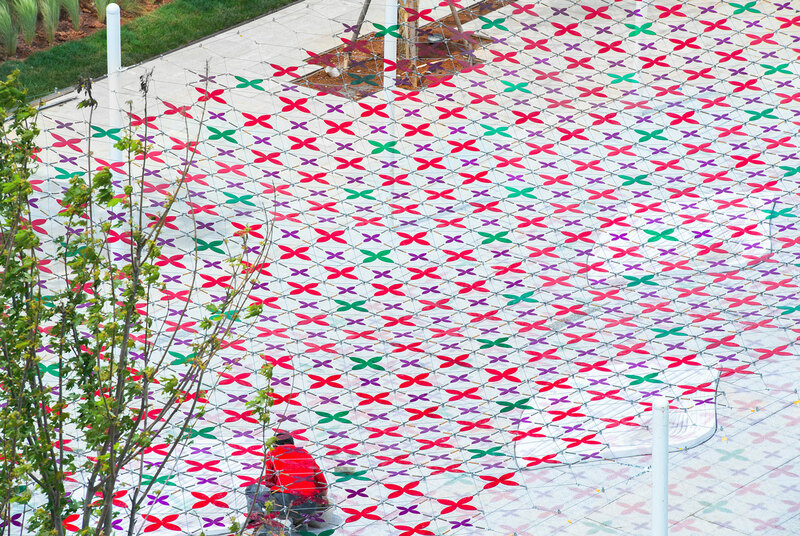 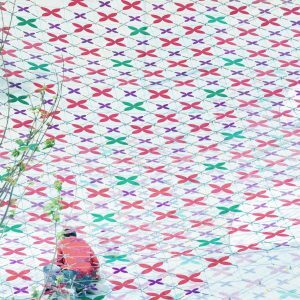 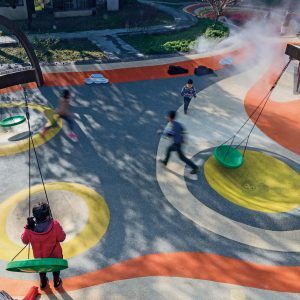 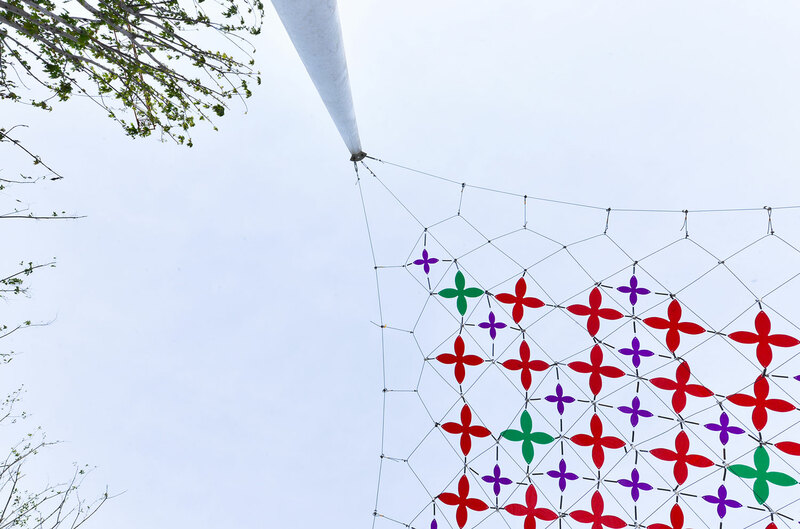 By folding the surface to create levels for a playground where kids can play paper airplanes and the central open space of the community. 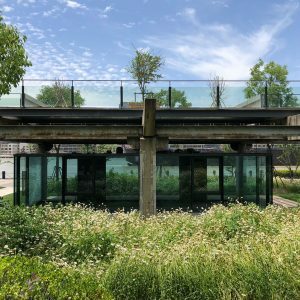 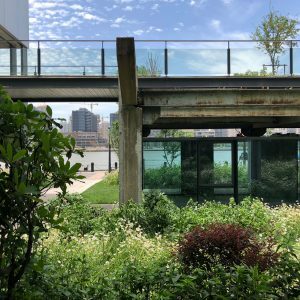 Shanghai Modern Art Museum Waterfront, covered 3.2 square hectometre in Pudong Shanghai, is an urban post-industrial renovation project aims to regenerate the coal industrial site to an art museum promenade complex at city center of Shanghai. 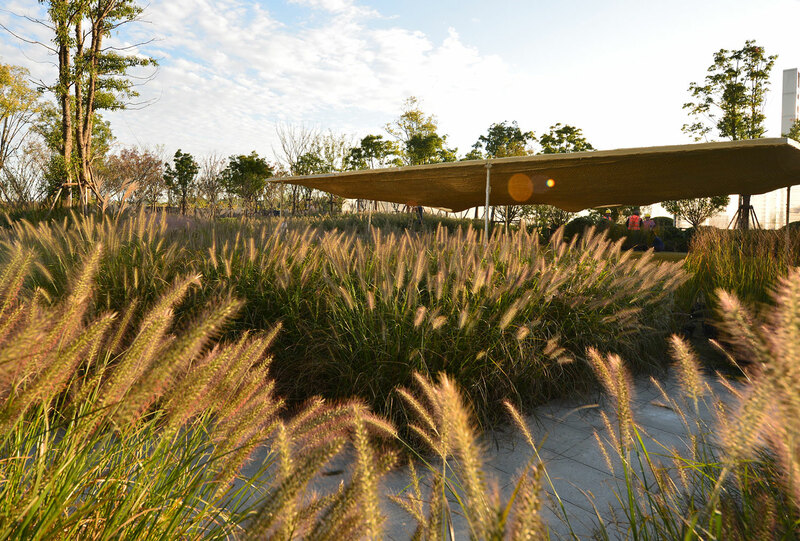 The project is designed not only as a relaxing waterfront but also an interesting place full of surprises. 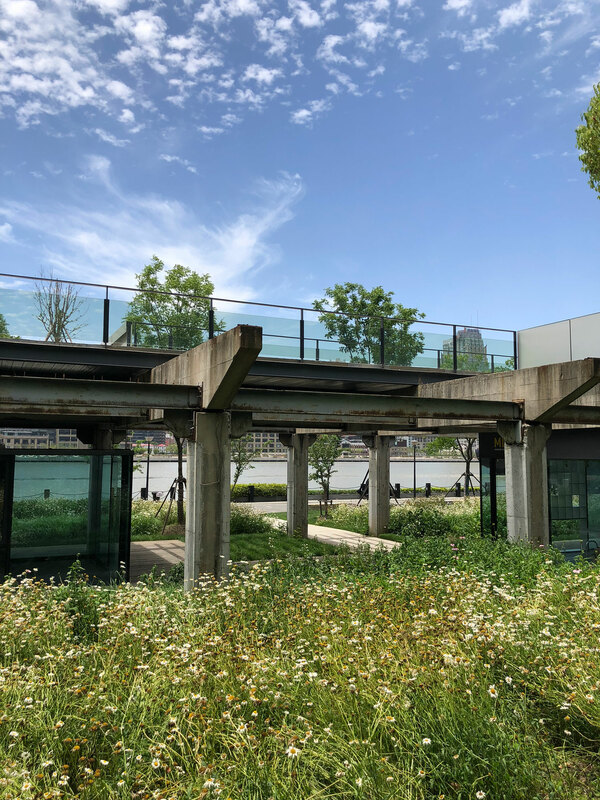 We retained most of the coal transportation structures, storage buildings and shipping infrastructure and transform them to a modern art museum along with this waterfront. 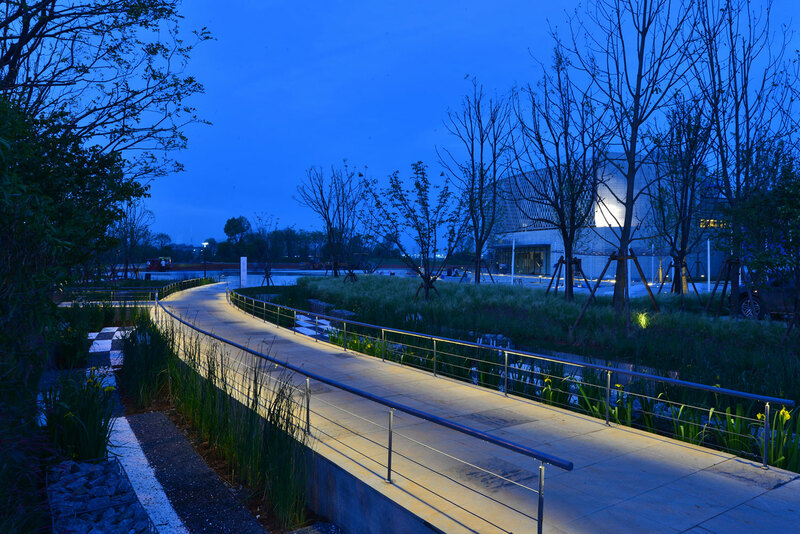 As the exterior of the museum, the promenade plays as an outdoor art gallery as well as a relaxing public space. 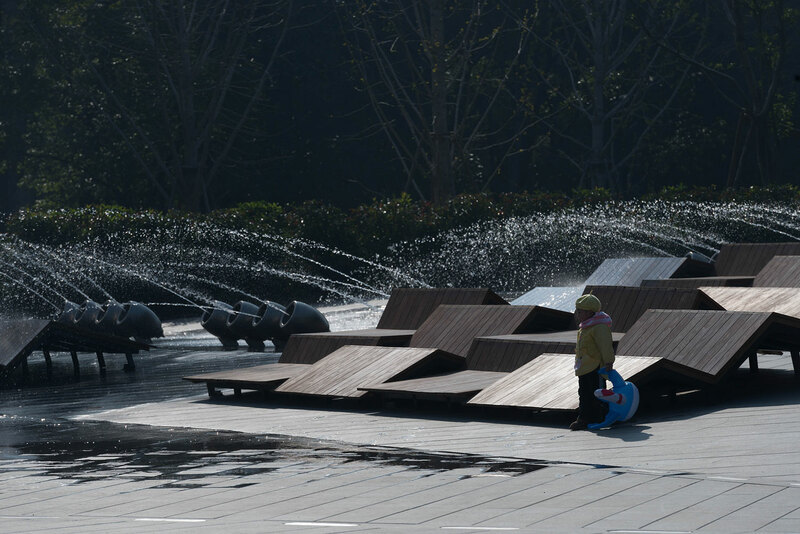 Every early summer and autumn, the whole promenade is highlighted by the white max chrysanthemum and purple cone flower. 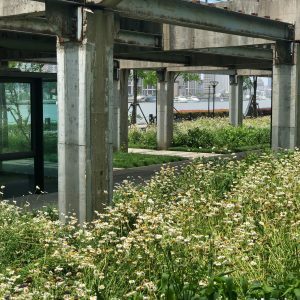 The blooming flowers add a fresh, poetic and peaceful touch to the walking experience along the post-industrial monument. 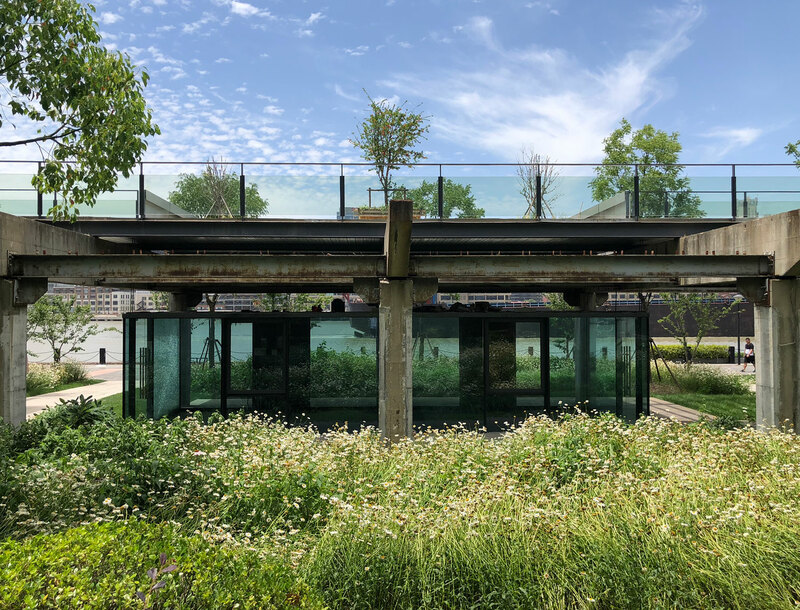 The elevated walkway over a reflecting water pool, as another main feature of the project, is designed to offer a new perspective to the water and play with the reflection and boundary of the it. 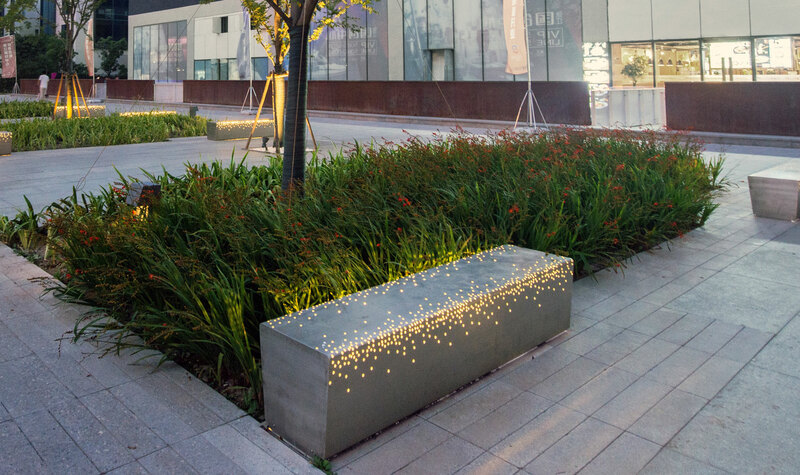 The lighting and water fountain show at night is a highlight of the promenade complementary to the gorgeous view from the river. 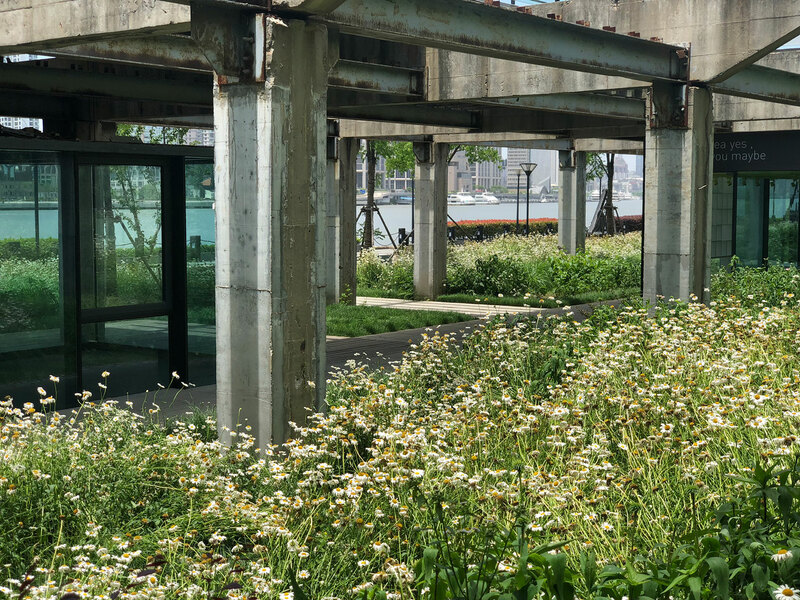 From day to night, from season to season, the promenade celebrates the rebirth and blooming of a post heavy-industrial site in its poetic way. 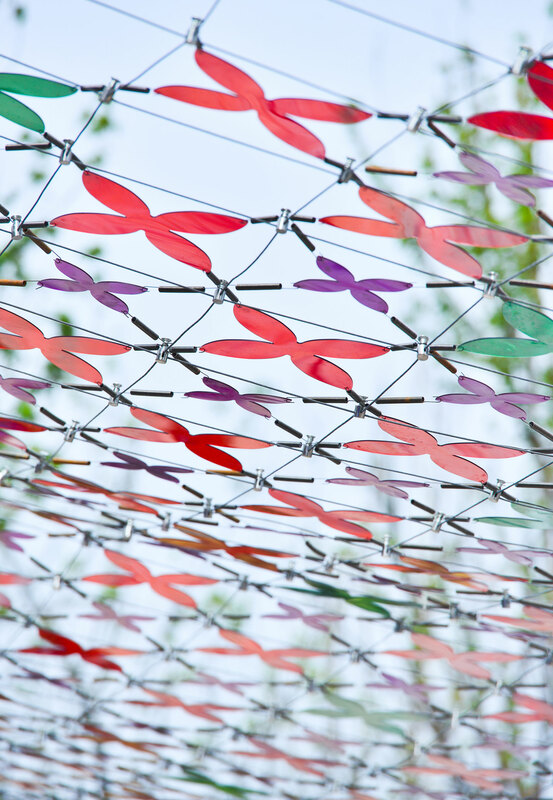 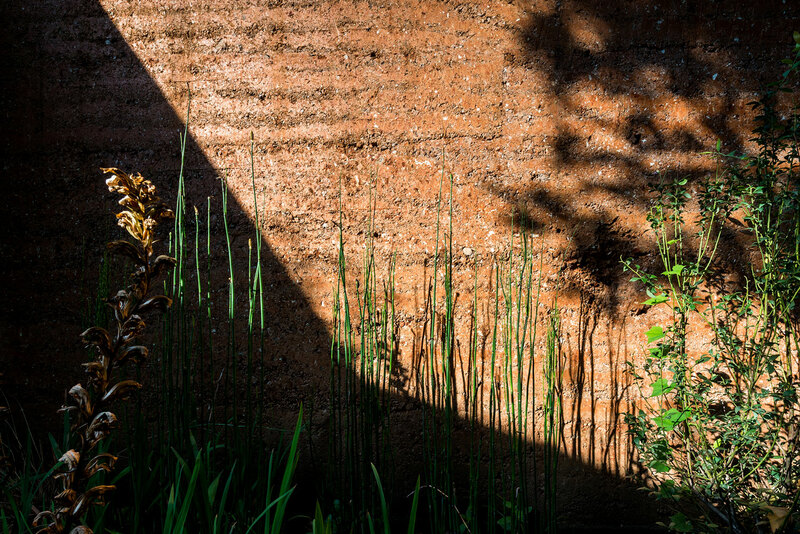 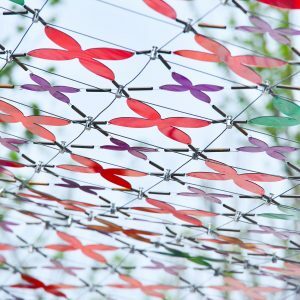 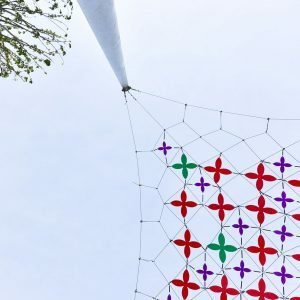 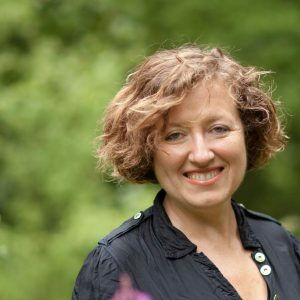 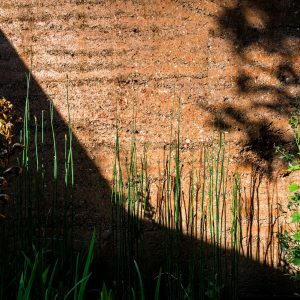 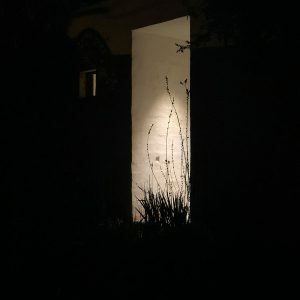 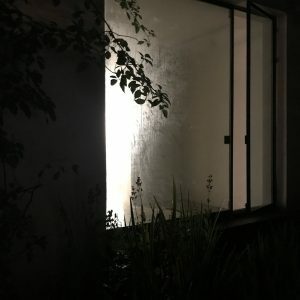 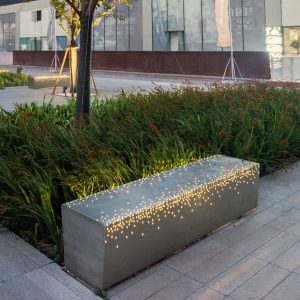 Silhouette garden is an experimental project to work between flora installation, art, and landscape, to discover the potential power of plantings engaging time to its form, colour and texture to space. 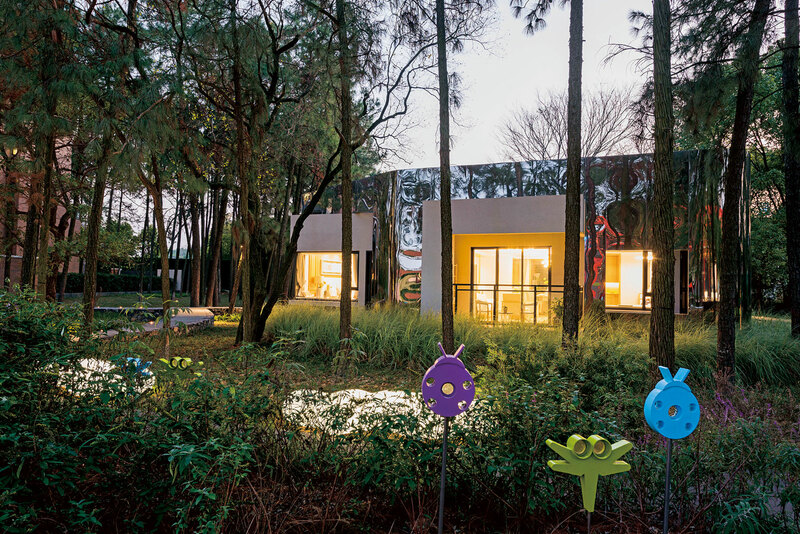 As a secret yard of fashion couture showroom and tea-house in French Cession of Shanghai, silhouette garden serves as aesthetic and poetic foreground through the imprint of floral shadow and colours during the days and seasons. 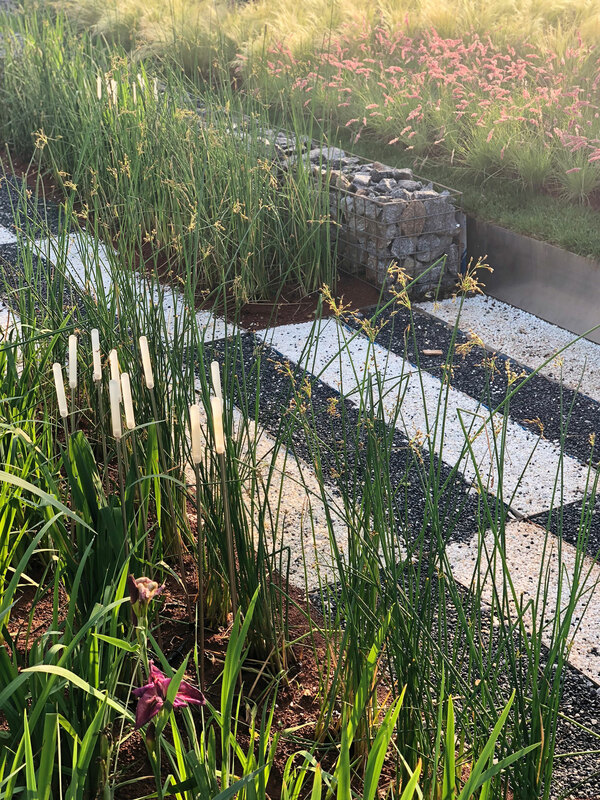 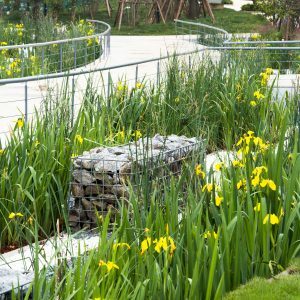 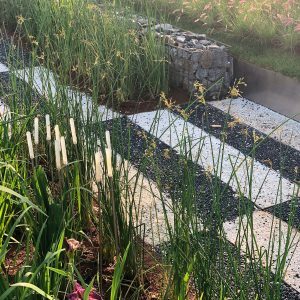 The highlighted plantation, such as Equisetum hyemale, Crocosmia crocosmiflora and Iris croatica, forms a mixture of straightness, looseness and clearness, constructing sources of silhouette. 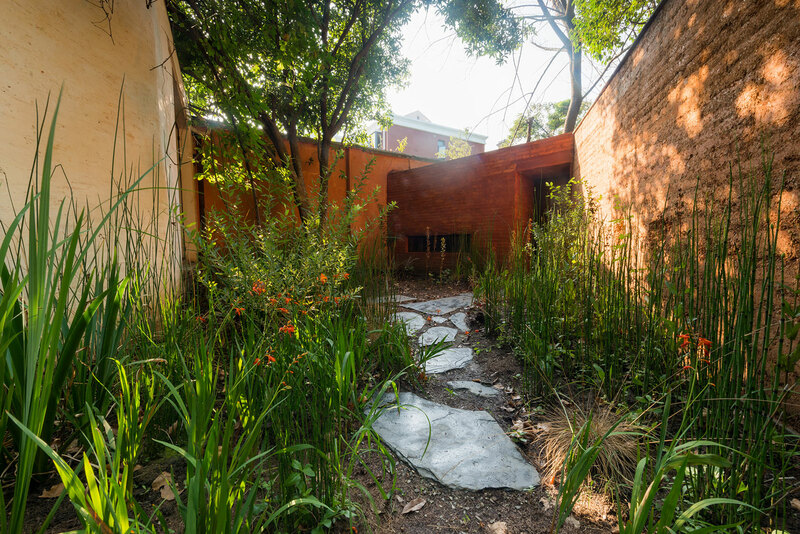 The shapeless boundary of garden is glowing from the green, yellow to red throughout the year. 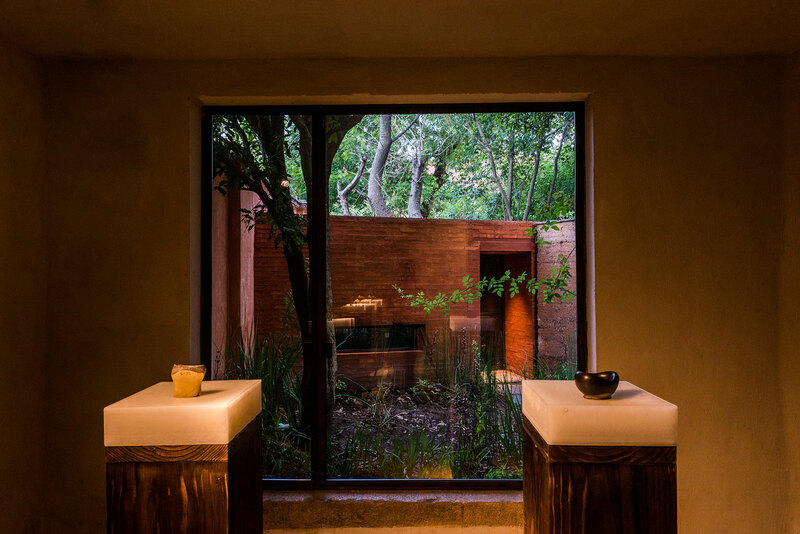 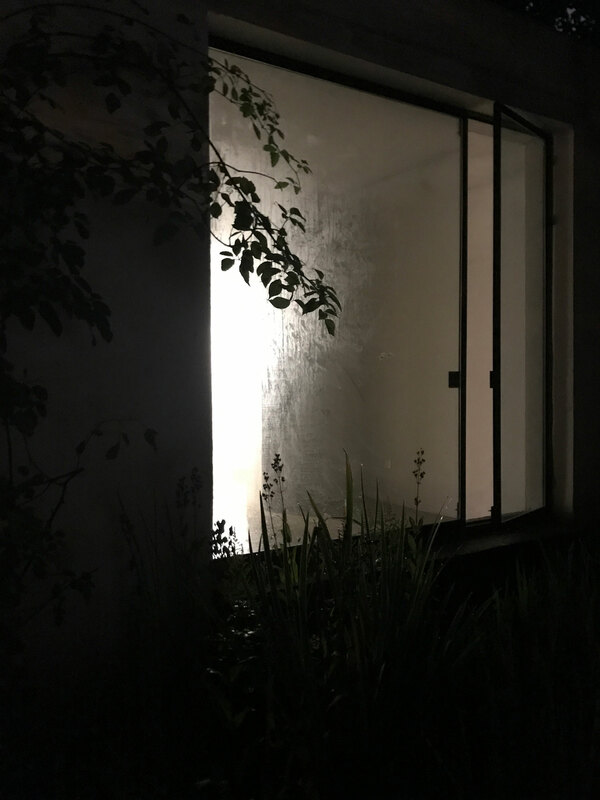 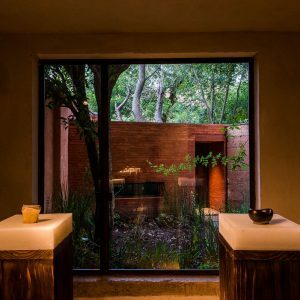 The impression of silhouette is continuous to the interior, the window creates framing of the silhouette garden, adds a secret surprise to visitors. 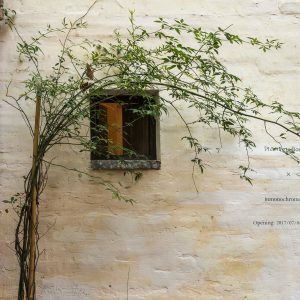 From inside to outside, mixed context of plantation marks the poetic and dynamic impression in this secret garden. 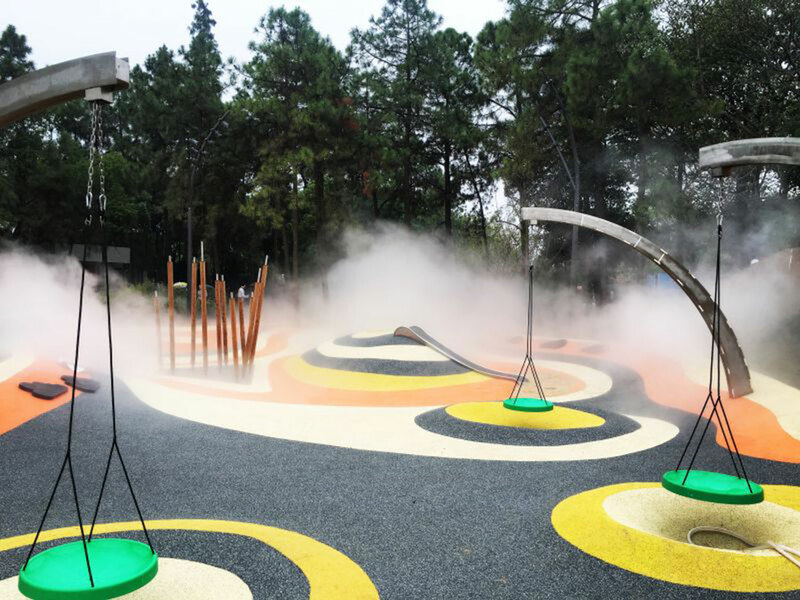 This program is located at the northern area of Nanchang and serves as a vital starting point of Rule Lake urban renewal project. 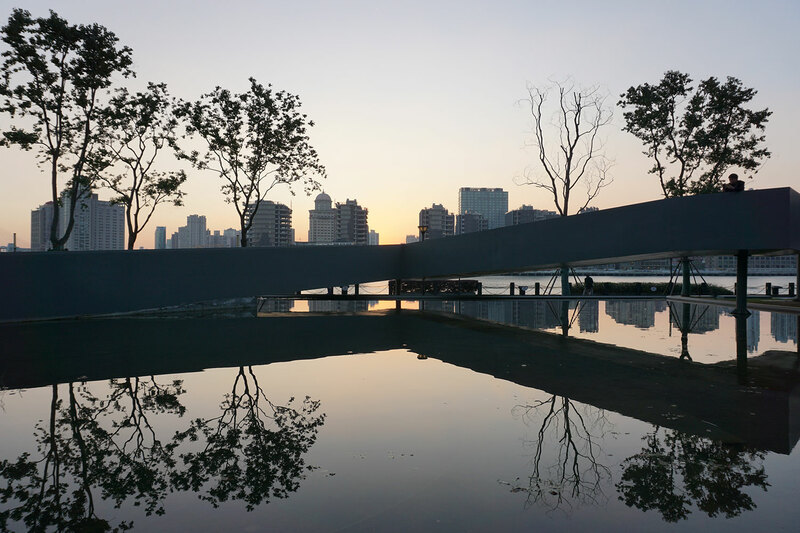 Rule Water Street combines its historical evolution with the memory, imagination, dream of the water and waves of Gan River. 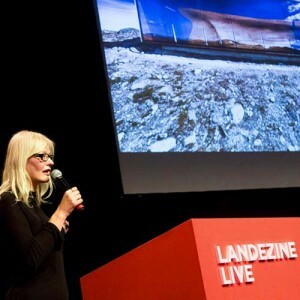 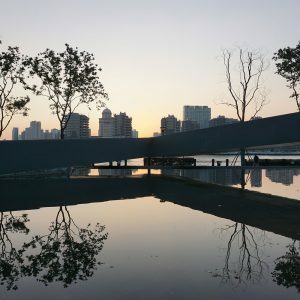 The design considers the demand and technique of contemporary fashion, rebuilds the bond between water and human, and finally constructs a brand-new waterfront business area that is enlightened by local culture and history. 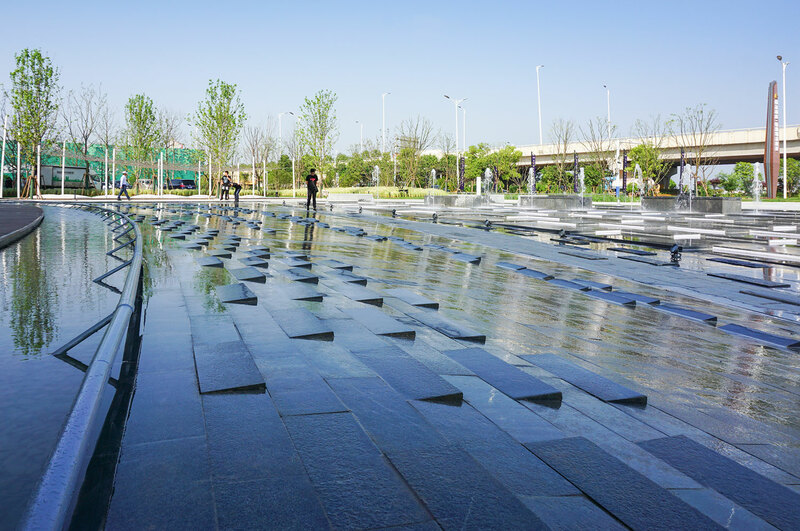 Gan River New District Characteristic Town is developed by Jiangxi department of Greenland Group, its exhibition area has been completed by the end of April 2018. 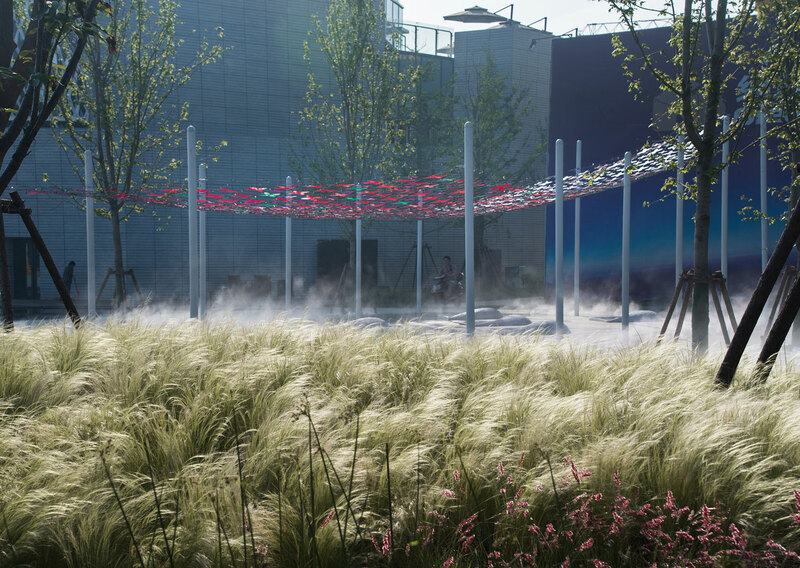 The exhibition area of water street features three main parts: plaza of thunder dance, shower of lights, and colour blocking rain garden. 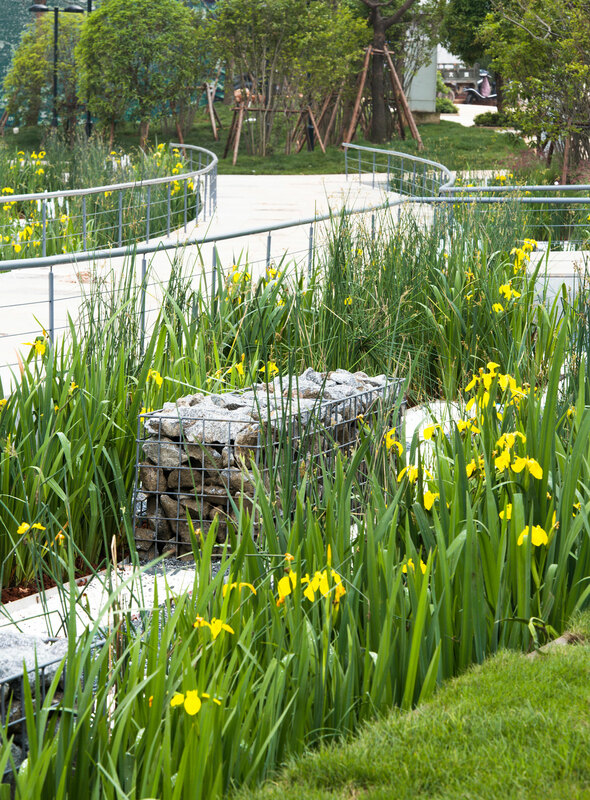 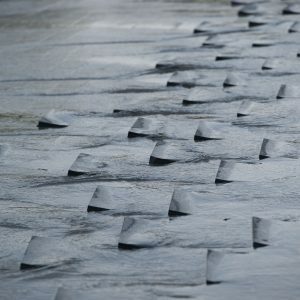 The design of the three parts is inspired by the imagination of water, as well as beach, island, fog, and ocean; hence the vitality and imagery of water whirls through the site and enriches the landscape. 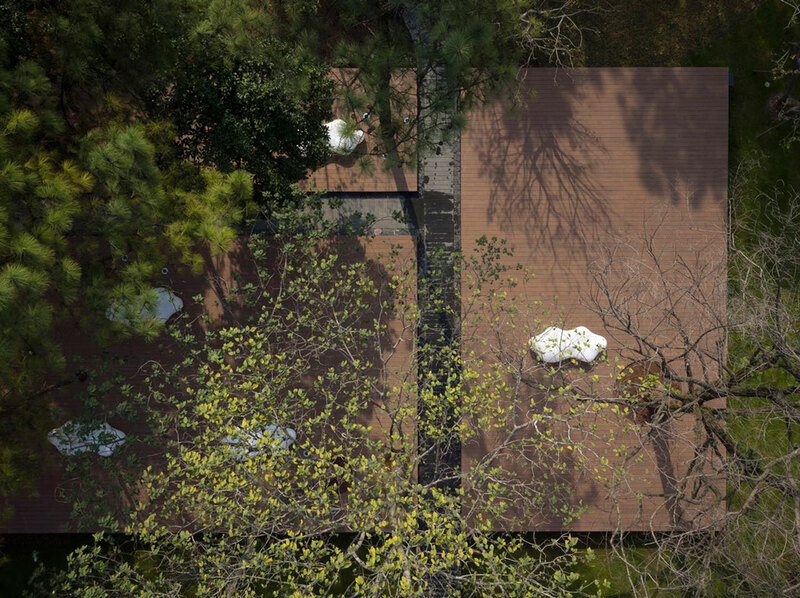 Gangcheng Square Exhibition Center, a booth pavilion floating on the flower sea above. 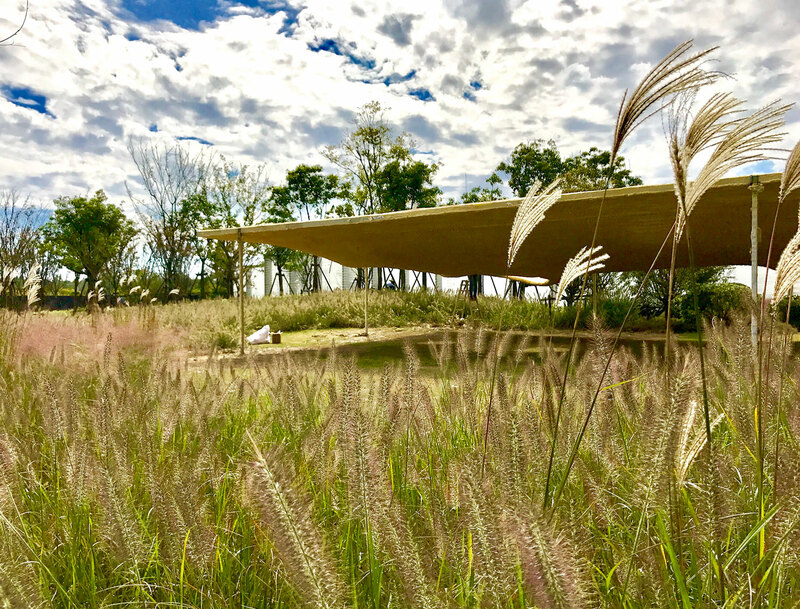 Natural landscape and light structure combined with a clear hierarchy, and the wind swept out of sight, far from the sea of flowers like tumbling clouds, it is difficult to tell the flow is still, the formation of different strong space experience. 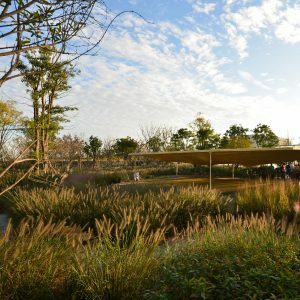 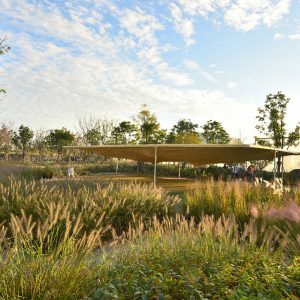 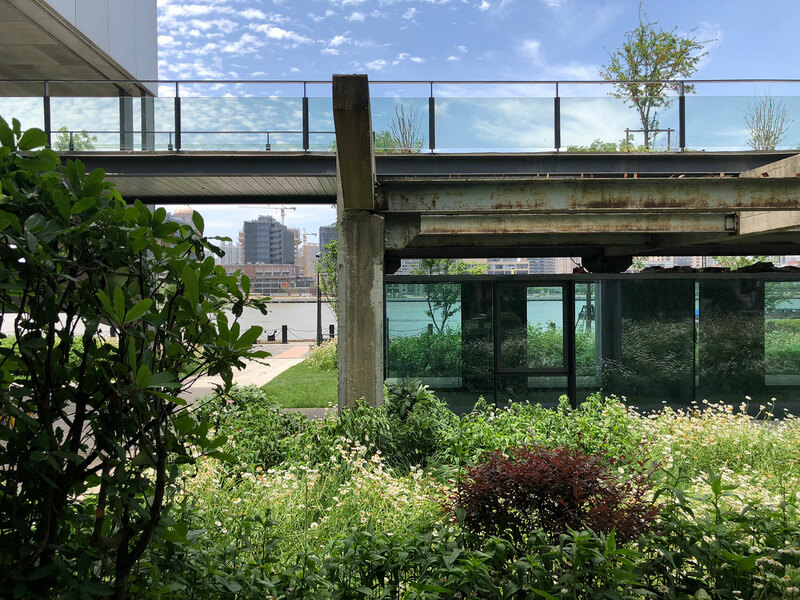 Landscape planting space distribution in the plan has a Perfect integration with exhibition Pavilion, while also ensuring the necessary access to the people: The accidental appearance of landscape plantings sometimes show the pavilion and reveal the natural beauty of the path. 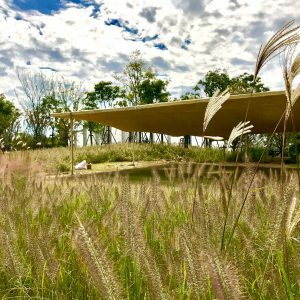 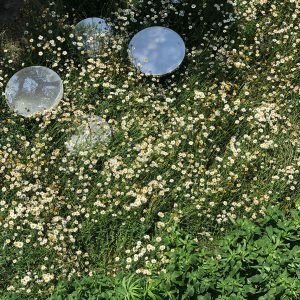 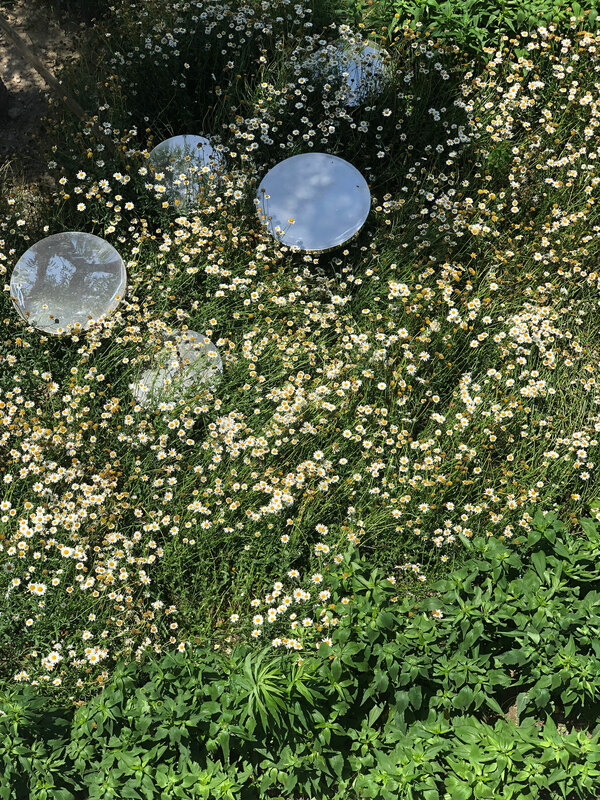 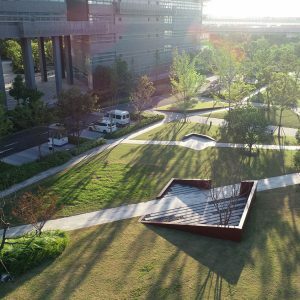 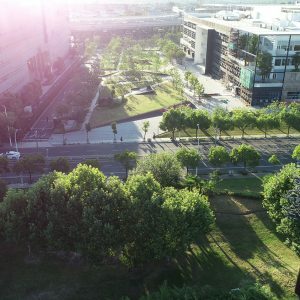 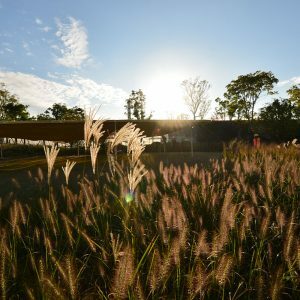 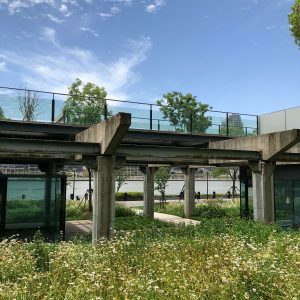 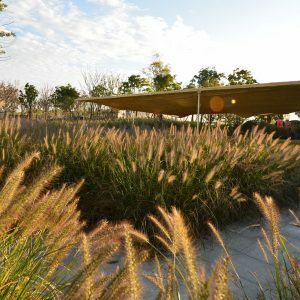 The use of wind-driven landscape grass, to be able to surprise the expression of natural plant and catch the wind traces, this unexpected nature, ambiguous space, different space experience has become the beginning of our thinking landscape space. 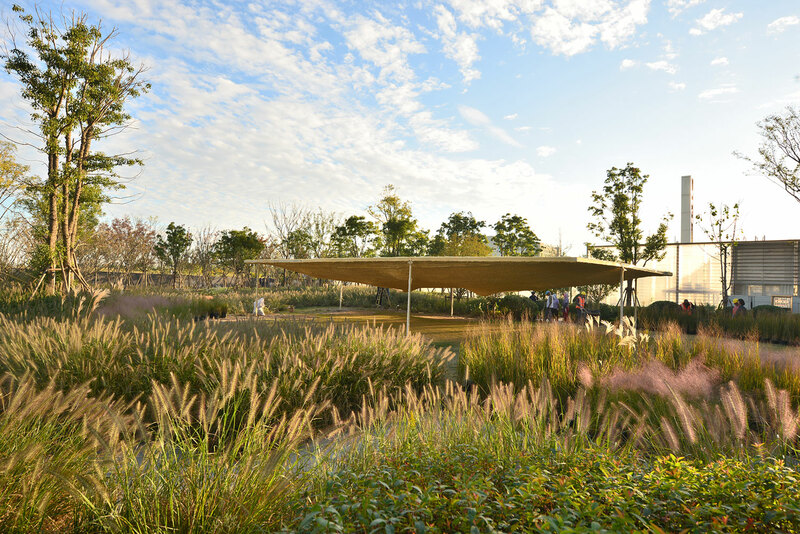 In detail, after a fine model and nursery test, with different heights of planting selections, with the seasonal plantings test, and with different space position, more able to control the display of floating effect, with the exhibition pavilion to achieve a wealth of space experience. 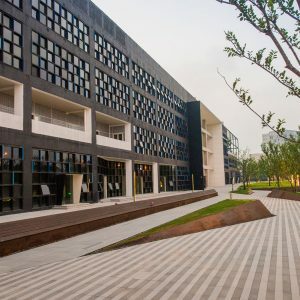 Box Building is a renovation project from a post mega industrial warehouse into a modern co-working space with design transformation inspired from industrial heritage in its scale, texture and materiality. 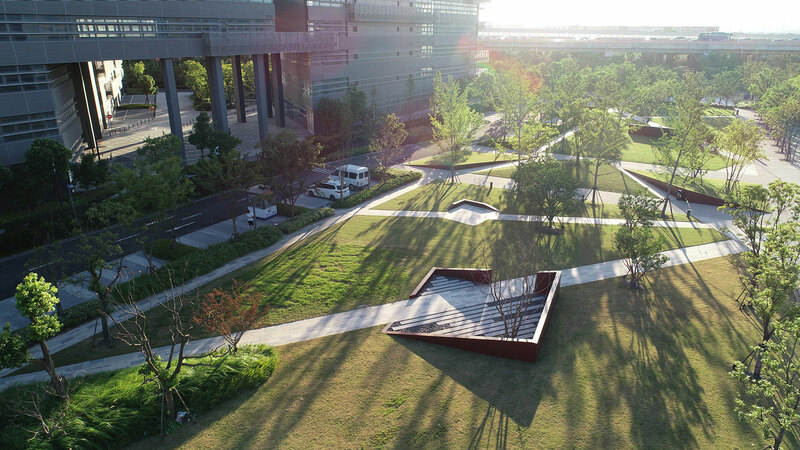 Idea comes from the connection and tension between landscape and a box, it is investigating the co-working functionality within the building as well as outdoor landscape. 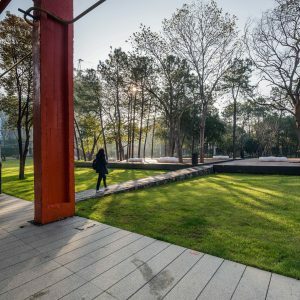 The architectural openness to landscape through maximization of solar penetration to indoor plantation of trees forms a basis to the co-working idea of landscape and history, which is reverse to the history, an industrial box as a detachment of landscape and working class. 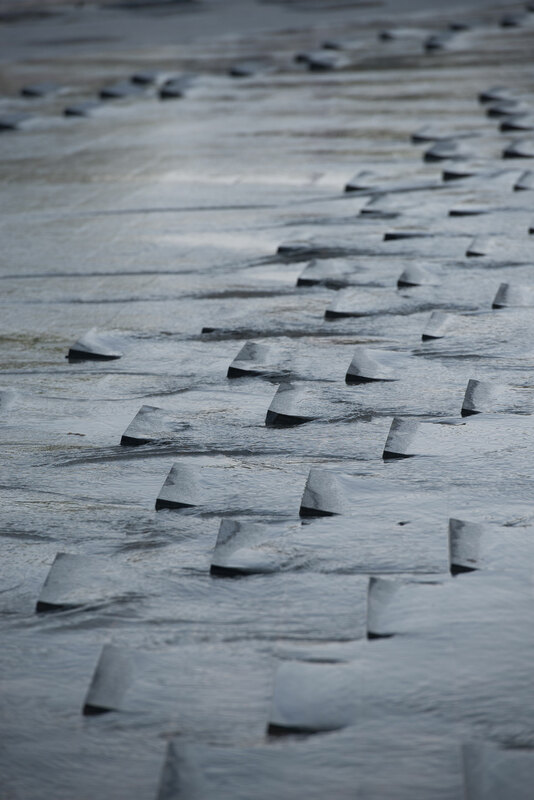 Exploring and expressing more possibility of this basis, the landscape retains the spirit of functional and regular form, triangle, as representation and response to the industrial history. 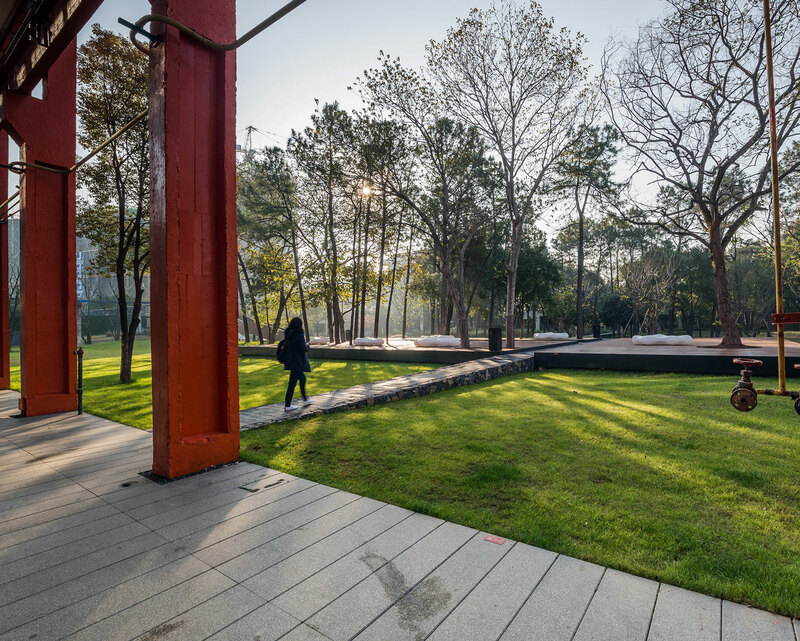 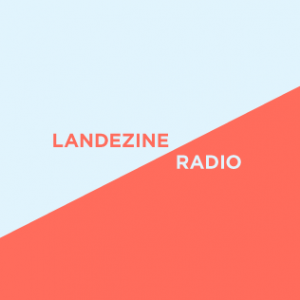 While it is breaking the box, reshaping and balancing the functionality and speciality of human movement in a wide opened landscape, further turns the discussion of space in human scale within the co-working thesis of architecture and landscape.